Everlast Plumbers Sydney offers a wide range of plumbing services for both residential and commercial from installations, maintenance, upgrades and repairs of any type of plumbing system. We have made it our responsibility to offer expert plumbing in Sydney and its suburbs. You deserve quality plumbing services and we’re the right choice for you. Our professional, fully licensed and insured plumbers have over 25 years’ experience in providing plumbing services and solutions to our customers across Sydney. If you need your plumbing done professionally, Everlast Plumbing are the plumbers to consult. There is no job too big or too small that Everlast Plumbers Sydney can’t handle. We can assist you with all your plumbing needs and we use the latest equipment and techniques, and provide up front pricing for all works. With over 20 years of experience in the plumbing industry, we have refined our skills and built a team of professional, reliable and friendly plumbers dedicated in providing exceptional service with a smile at all times. Everlast Plumbing Sydney operate 24 hours / 7 days a week to take care of any unexpected plumbing issues. 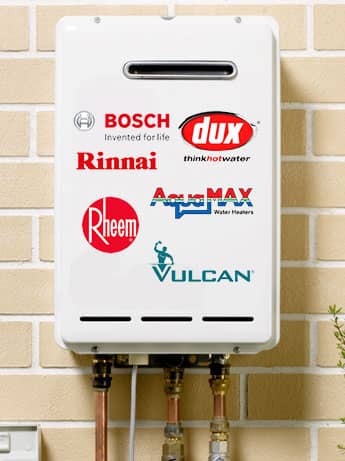 From a burst pipe to a blocked drain or a problem with your hot water system, our experienced plumbers are on standby to quickly resolve your problem. Here at Everlast Plumbing Sydney we ensure a high level of service- starting from the time that you contact us to arrange a service call through to your job being attended to and completed by our experienced tradesmen. UP FRONT PRICING: We charge by the job- not by the hour. Our prices are provided and explained before we start – so you won’t have any surprises. 100% LABOUR GUARANTEE: We guarantee our labour on our works and believe in fixing your plumbing problem first time every time. ALL YOUR PLUMBING NEEDS: Everlast Plumbing can assist with all your plumbing needs – from blocked drains, leaks, hot water, gas and repairs with other trades on standby when required. Everlast Plumbing has been providing homes and businesses in Sydney’s suburbs with professional rapid response emergency plumbing services for over 20 years, emergency plumbers sydney. No emergency is too big, no plumbing problem too small… and with plumbers based across 5 Sydney locations, you can be sure of receiving a fast response.